→From Zero to $100 in 24 HRS Review – SCAM? From Zero to $100 in 24 HRS Review – SCAM? Jono Amstrong wants to prove he can go from flat broke, without any connections, to $100 within 24 hours. 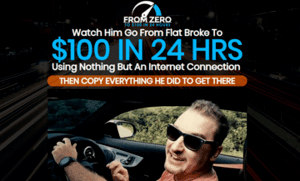 By purchasing From Zero to $100 in 24 HRS, you will learn how to copy everything he did and start making money online today. Is From Zero to $100 in 24 HRS a scam or legit? Highly recommended: Learn step by step how to build an affiliate business that allows you to achieve time and location freedom. Free and newbie-friendly training available. Yes, the video presentation is very creative and grab people’s attention. But what does the sales page really tells us about the product itself? 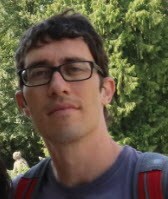 Well, it tells us Jono will show us how to make quick money online starting from ground zero. It’s the exact blueprint that anyone can apply to earn $100 in 12 hours! The best part? It says you will work less and make money faster! It’s a simple method that doesn’t require a website, an email list nor a product to sell. What is From Zero to $100 in 24 HRS? From Zero to $100 in 24 HRS is a training and case study that will show you how to rank videos on youtube and earn money as an affiliate marketer. The strategy is very simple and has been used by thousands of affiliate marketers around the world. Youtube is one if not the best platform to get traffic today. So, you will learn how to search for lucrative affiliate offers, rank review videos and earn money as an affiliate. It’s focused on make money online products because they are easier to rank and generate more commissions. The authors of this course, Jono Amstrong and Brendan Mace used the same strategy to become top affiliate marketers of platforms like JVZoo and Warriorplus. So, the strategy works! However, I don’t think everyone wants to review these products as many of them can be overhyped and seem like scams, even though they are legit courses. Will You Make $100 in 24 Hours? Yes, you can create a video review, rank on the first page and start making money on the sale day! I already ranked a youtube video on the first page (a travel vlog) even though my channel had only 4 other videos. So, it’s possible! However, that doesn’t mean it will always happen, and even if you rank well, it doesn’t mean you will make a commission. The truth is that the method can only generate consistent commissions if you work hard to build your channel. Conclusion – Is From Zero to $100 in 24 HRS a Scam? No. It isn’t! From Zero to $100 in 24 HRSis a very thorough course that is full of tips and strategies to rank videos like Jono Amstrong. If you feel like promoting these type of products, it’s possible to make a lot of money online. However, I don’t like how the sales page is designed because it doesn’t give people realistic expectations about making money online. Regardless of the method that you choose to make money online, it’s never easy for a beginner to earn $100 bucks online, let alone within 24 hours. If you are not a fan of reviewing make money online products and/or showing your face on camera, I believe this is not the best program for you. 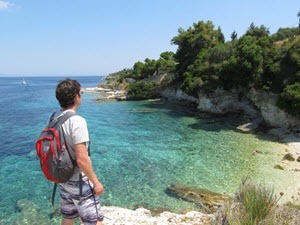 For in-depth training on how to build passive income niche sites, check out my #1 recommendation. It has a free membership you can try! The method they teach is excellent to build a solid foundation in order to live the laptop lifestyle without relying on a single platform. Thanks for checking out my From Zero to $100 in 24 HRS review. If you have any questions, please let me know in the comment section below.